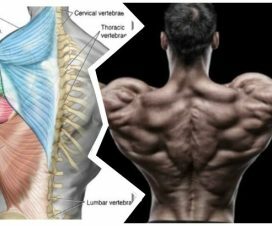 For most of us, building an impressive, huge back is all about achieving a powerful V-shape that makes you look more manly and dominant while also giving the impression of a small, incredibly fit waist. 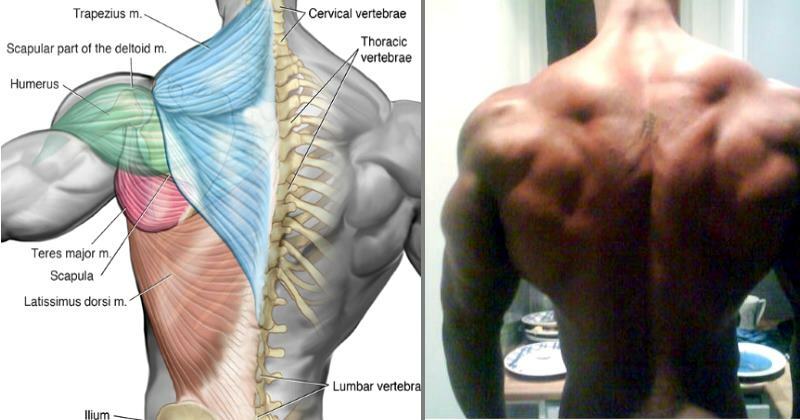 But perhaps more importantly, doing a lot of back work will also injury-proof your body in the most effective way possible, correcting any weaknesses and muscular imbalances in the back area and strengthening the spinal column and the supporting muscles, ligaments and tendons. 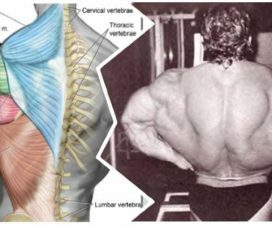 There are many ways to create a great back training regime, and we assume that you’ve already have your favorite set of exercises. 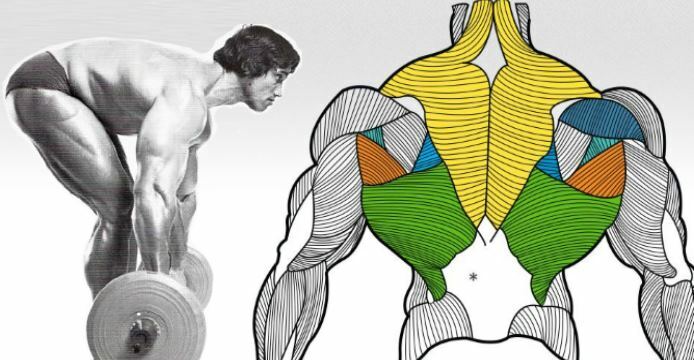 But if you’ve been training for a while now and you’re still not quite pleased with the results, you might be selling yourself short by neglecting these 5 incredible back builders! If you’ve been searching for that one almost magical exercise that holds the key to building maximum muscle, look no further. 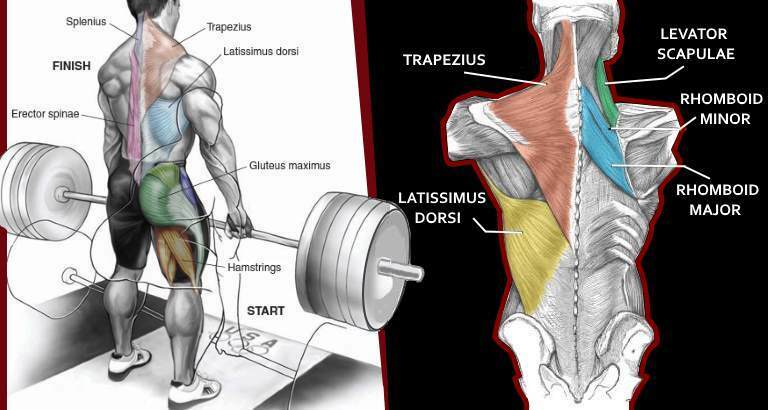 The deadlift has always been and will always be the number one exercise you can do to pack on size like a pro, especially when it comes to developing the hamstrings and the lower back. In fact, it’s a basic functional move you simply can’t afford not to do and you know it! If you’ve been avoiding it so far because of a fear of injury, it’s time to learn how to do it correctly and unlock your full mass-building potential. 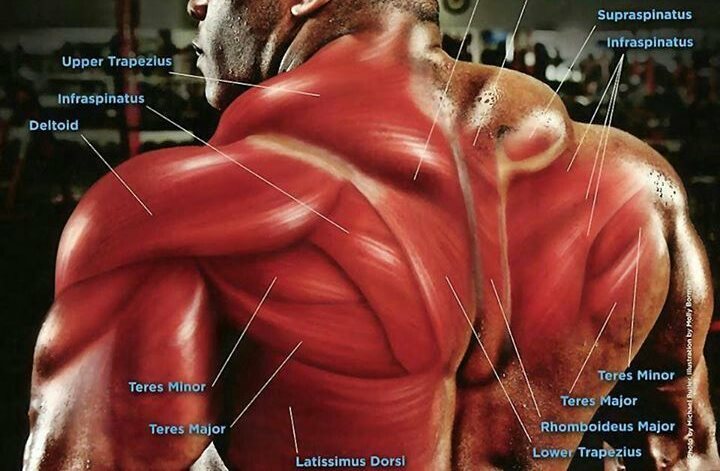 To keep pressure off of your spine and lower back muscles, always keep your back straight. As you start the pull off the floor, take a deep breath and hold it – this will increase torso stability by bracing the spine and helping the muscles generate more force. 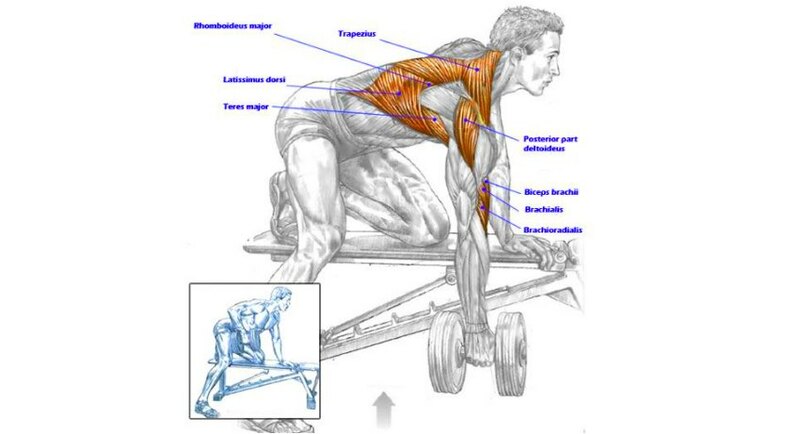 As you pull the weight, make sure that your shoulders and hips come up simultaneously, at the same relative speed. In order to prevent injury and hit the muscles you’re trying to target, the motion should be slow and controlled at all times and your feet have to stay flat on the floor all throughout the movement. Meadow rows can be a crucial exercise for anyone struggling with a stubborn back. This modified version of a one-arm dumbbell row can help you put on mass and carve detail like no other exercise, so make sure to include it in your routine if you want stellar back development. Load up a T-bar or put weight on one end of an Olympic barbell and place the other end of it in the corner of two walls. Stand on the floor next to the loaded end of the bar in a staggered stance with the leading foot perpendicular with the bar. Bend over at the waist and lean forward so that your torso is almost close to parallel with the floor. Keeping your knees slightly bent, grasp the loaded end of the bar with your left arm with an overhand grip and put your other hand on your thigh for support. Begin the exercise by rowing the weight up so that your left hand ends up just outside your chest. As you lift up, squeeze your back muscles and hold the top contracted position for one second. Don’t allow any swinging of the torso. 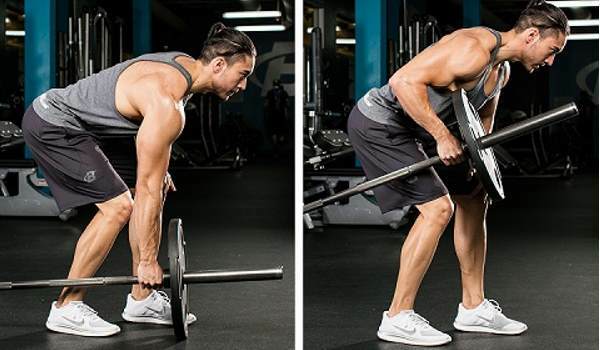 Lower the weight back down without letting the plates touch the floor.